Whether you walked the halls of HCC as a student or are part of our community of family and friends, we are delighted to welcome you. Here you'll find a place to connect to HCC; read the latest Alumni Connection, browse the News & Events section, or get in touch with the Alumni Association. Alumni and friends play an important role at HCC by mentoring students, providing internship opportunities, and raising funds for scholarships, classroom equipment, building rennovations and new programs. Are you here to make a gift? If so, please click here. Access Annual Giving reports here. 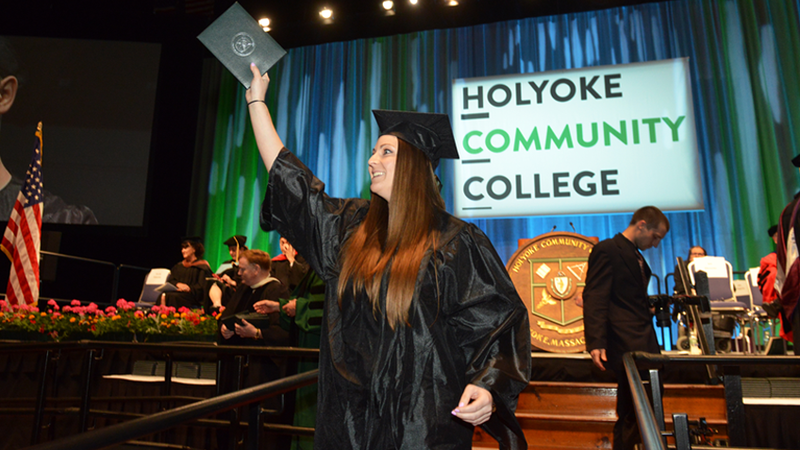 For more than 40 years, the Holyoke Community College Foundation has helped Pioneer Valley students realize their hopes and dreams for the future. Need a copy of your transcript? HCC uses Parchment to send official copies to other schools, prospective employers, or other agencies. You can even request a paper copy for yourself! Simply follow the instructions below.